How do I buy The Joint Chiropractic Franchise? Chiropractic care is an untapped market in most communities. Owning a membership-based chiropractic franchise, is a best bet for both chiropractors and entrepreneurs. 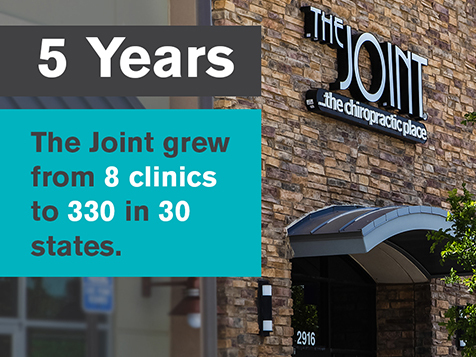 The Joint Chiropractic has taken their industry by storm and risen from a small number of stores to over 350 locations open across the country in less than a decade, and is now the largest network of chiropractic clinics in the nation, performing over three million adjustments per year. 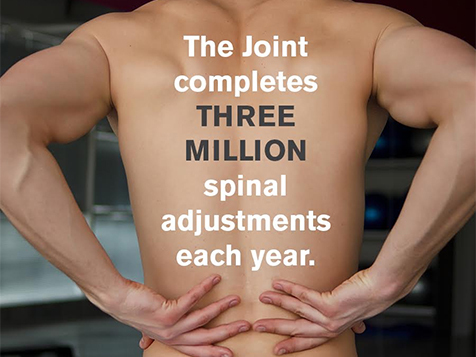 The Joint offers a safe, natural and drug-free approach to those seeking pain relief and preventative healthcare. 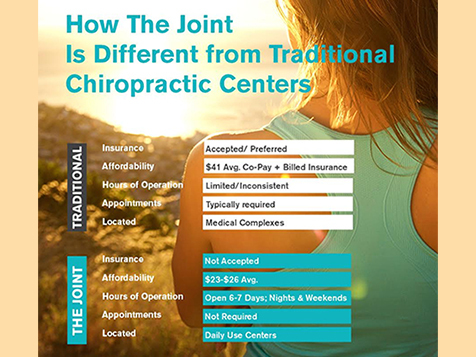 Through locally owned and operated locations nationwide, The Joint makes personalized care affordable and convenient, allowing millions the opportunity to experience the benefits of chiropractic. Open The Joint Chiropractic in any of these available states: AK, AL, AR, AZ, CA, CO, CT, DC, DE, FL, GA, IA, ID, IL, IN, KS, KY, LA, MA, MD, ME, MI, MN, MO, MS, MT, NC, ND, NE, NH, NJ, NM, NV, NY, OH, OK, OR, PA, RI, SC, SD, TN, TX, UT, VA, VT, WA, WI, WV, WY. The ease of The Joint’s business model means that owning a chiropractic franchise has become more inclusive than ever before. While chiropractors make passionate and successful franchise owners because our business model allows them to focus on their patients, no prior medical or chiropractic experience is required to franchise with The Joint. Entrepreneurs who are passionate about bringing quality and affordable care to their communities are equally as successful with The Joint. Electronic patient management and records, streamlining operations and facilitating patients’ ability to visit clinics across the U.S. The Joint Chiropractic is not currently active in our directory, but here are some other recommended selections for you to explore.